Used Audi A6 Allroad Review - 2000-2005 Reliability, Common Problems | What Car? 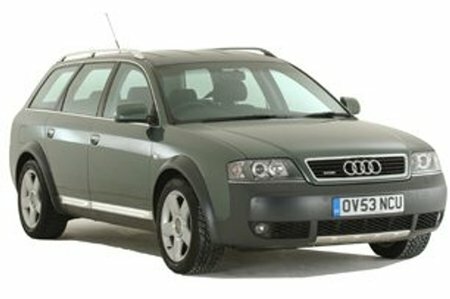 What should I look for in a used Audi A6 Allroad estate? Our experience with the Audi A6 suggests the brakes and suspension are the main areas of trouble. Overall, though, Warranty Direct says problems on Audis are not too frequent. Plenty of other makers' cars are worse, although notably BMW and Mercedes are better. Only one recall has affected the Allroad; on cars built before February 2001, there could be a problem with the driver's-side wiper. The only other word of caution is that, if the four-wheel-drive system does need work, it will require specialist attention, so make sure it's in good nick before you buy. There are also no specific reports for the Allroad in JD Power surveys, but owners of the A6 are generally pretty happy. It finished in the top 40 in 2005 and 2006, and consumers report that, mechanically, the A6 is no worse than average and its build quality is excellent. What are the most common problems with a used Audi A6 Allroad estate? Is a used Audi A6 Allroad estate reliable?